Is the 2nd step of the nursing process. To identify health care needs and prepare a Nursing Diagnosis. It means to analyze assessment information and derive meaning from this analysis. Is a statement of a client’s potential or actual health problem resulting from analysis of data. Is a statement of client’s potential or actual alterations/changes in his health status. A statement that describes a client’s actual or potential health problems that a nurse can identify and for which she can order nursing interventions to maintain the health status, to reduce, eliminate or prevent alterations/changes. Is the problem statement that the nurse makes regarding a client’s condition which she uses to communicate professionally. It uses the critical-thinking skills analysis and synthesis in order to identify client strengths & health problems that can be resolves/prevented by collaborative and independent nursing interventions. Analysis – separation into components or the breaking down of the whole into its parts. It states a clear and concise health problem. It is derived from existing evidences about the client. It is potentially amenable to nursing therapy. 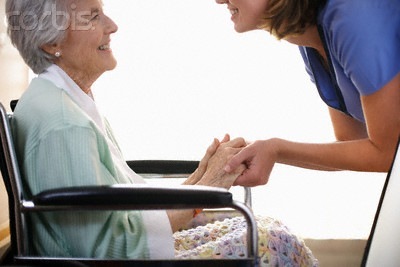 It is the basis for planning and carrying out nursing care. *Therefore may be written as 2-Part or a 3-Part statement. 10. *** Working in a circular motion from insertion site outward to edge of dressing border cleanse skin, insertion site, and distal portion of catheter with :a. Providone-iodine scrub swabsticks x 3 – to remove bacteria and fungi. 11. If a tubing change is necessary:a. Instruct the patient to perform Valsalva maneuver or hold his/her breath (or immediately after a ventilator delivers a breath). g. Document the time of specimen collection and transport to the lab. h. Document the appearance, odor, and usual characteristics of the specimen.